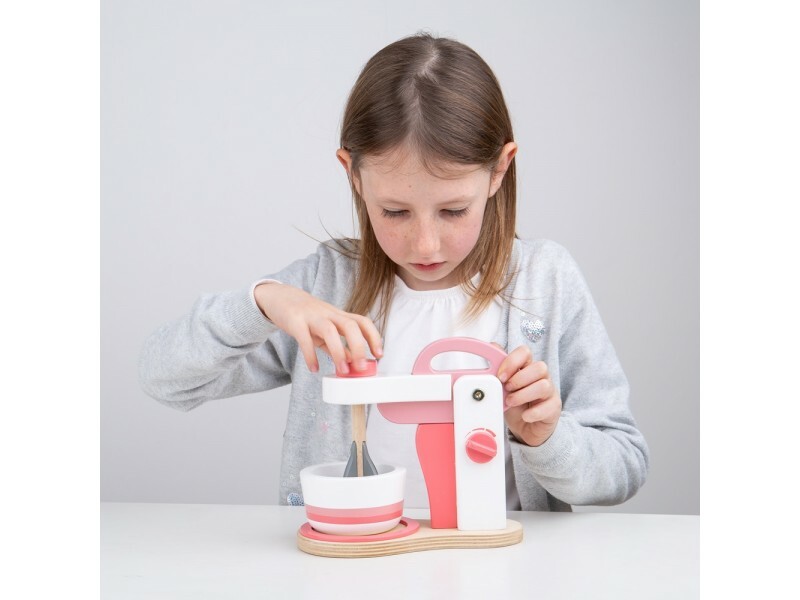 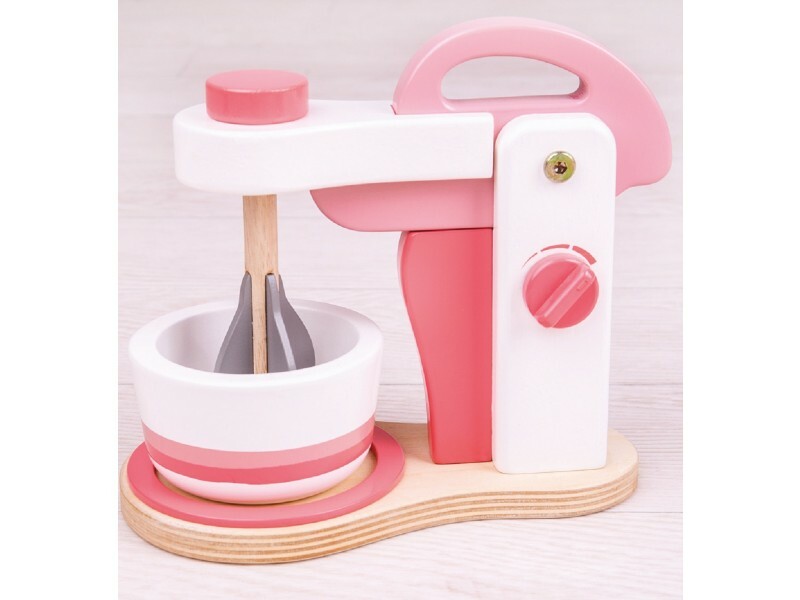 Little ones will be able to some fabulous delicious pretend play treats with this pink wooden food mixer. 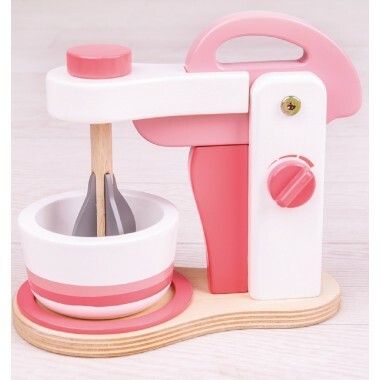 The food mixer has lots interactive features! 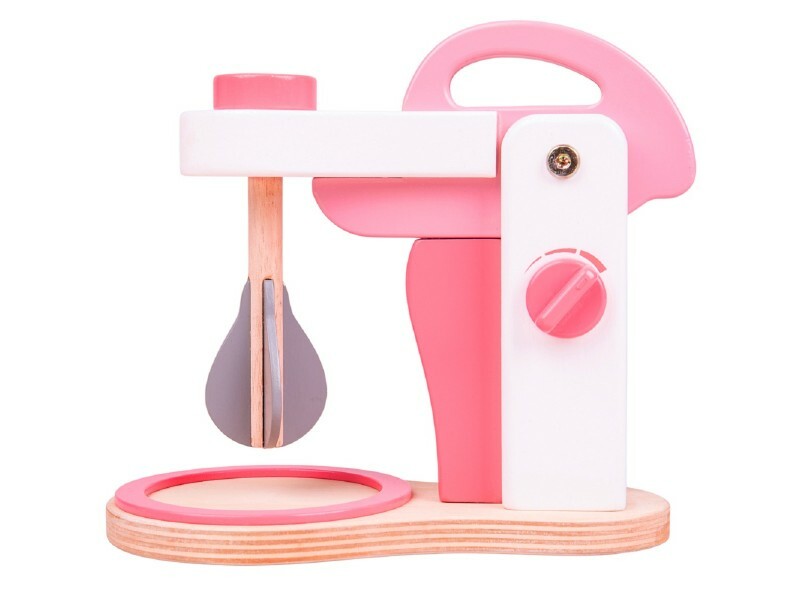 There is an on/off dial, a liftable mixer that actually rotates and a bowl for your ingredients and an on/off dial makes a realistic clicking noise.